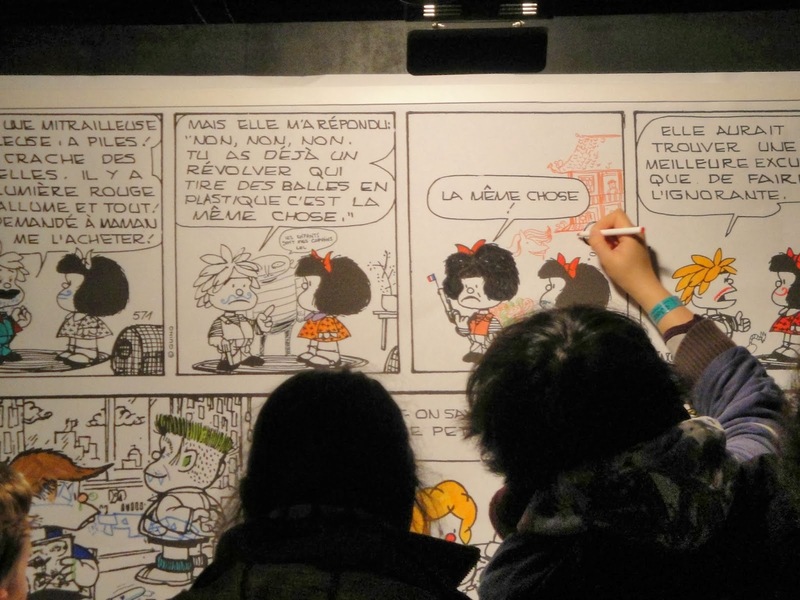 Well okay, I have to admit that isn't really representative of the festival (oh sorry, "the Angoulême International comics festival", I should say). Here we were in some kind of hippie part of the exhibition... We saw very strange things. But at the same time that was highly interesting to see the freedom they had in the way they created their comics, lots of experimentations in the form. Some well deserved rest. We were hosted, me and my friends, in a house in the country by a very nice little granny. I will always remember those holidays. That was just awesome to wander through bookshelves, to meet with other students to go to concerts and to have fun late in the night with my pals. Yeah, that was definitly a good week. Maybe we'll do that again next year, who knows.